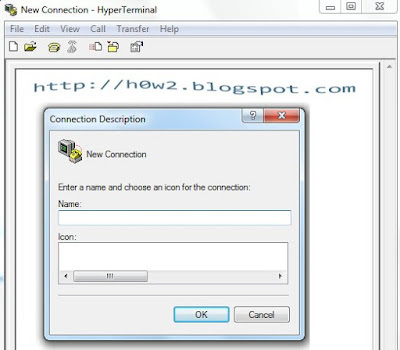 Hyper terminal is used for data communication via serial port com or TCP/IP Winsock. Unfortunately on Windows 7, Windows 8 and Windows 10 we can't see anymore, even though many of us who still need it, and it is not the solution if we have to go back to Windows XP. There is a slight disadvantage that the icon does not appear, but in my opinion it does not matter because it works with normal function and no problem happens.